Typically, a home can install 4kW solar panel system. Capital required is about RM60,000 to install 4kW system. With FiT, consumers have to pay only 10%, or RM6,000 while the rest will be a loan from a bank. The monthly income generated from the 4kW will be RM696 and the monthly repayment is RM456 to the bank, thus earning consumers a net cash of RM240 per month. To support FiT mechanisms, 1% electricity tariff hike may come into force in early 2011. However, it will be for those who consume more than 200kW per month. In estimate, 56% of the nation would not be impacted as they consume less than 200kwh a month. The system is part of the Government’s plan to boost renewable energy contribution to Malaysia’s electricity generation from less than 1% in 2009 to around 5.5% by 2015 and to 11% in 2020. Malaysia is targeting to achieve 25% of total usage of renewable energy by 2050. Previous post: Benalec IPO Oversubscribed by 4.92 times Next post: How to Check No-Claim Discount (NCD) For Free? Great news! 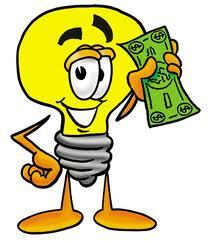 use electricity and sell the excess to earn money +environment friendly. Where do I get details please. i am interested. Can i have the details of the program ? The RE Act will be tabled in the parliament middle of this year. More details will be available when the Act approved. but will TNB allow such scheme to be success? They have to because there will new act called REAct. Anyway, there will be a tariff increase to compensate this. Hi, I’m interested too. Dewan Rakyat just pass the bill. Check out the updates on this matter. Now, we just need on how to apply. Can you spare some details on how you derived RM696 based on 4kW? ML, I can’t remember exactly. Previously, the figure was published on local newspaper. It based on RE act where you can sell at least RM1.20 per kWh to TNB & number of hours per day when there is sunlight.